The menu structure in Version 5 has been amend to make groups of routines. On the left is the group and when selected will show the routines in this group on the right. The logic being to make the system easier to navigate. 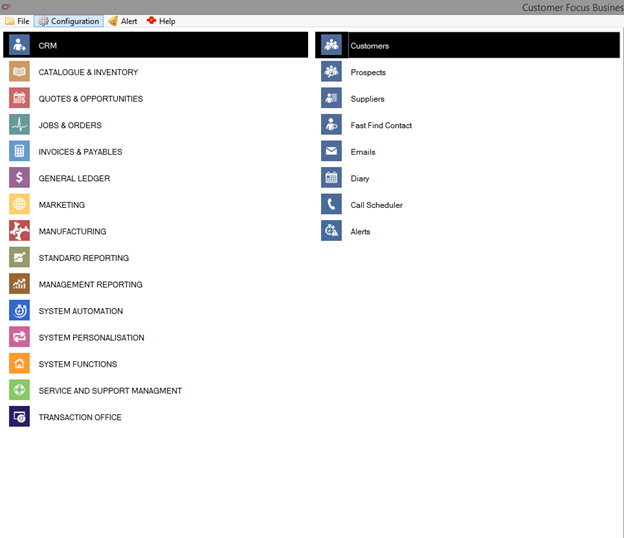 We have also enhanced the customization of the menu, this is now done on a check box basis in system maintenance. This is all driven from a master Pixhall profile. You are still able to hide the buttons a user does not have access to via the Hide Buttons from the Configuration menu on the main screen. 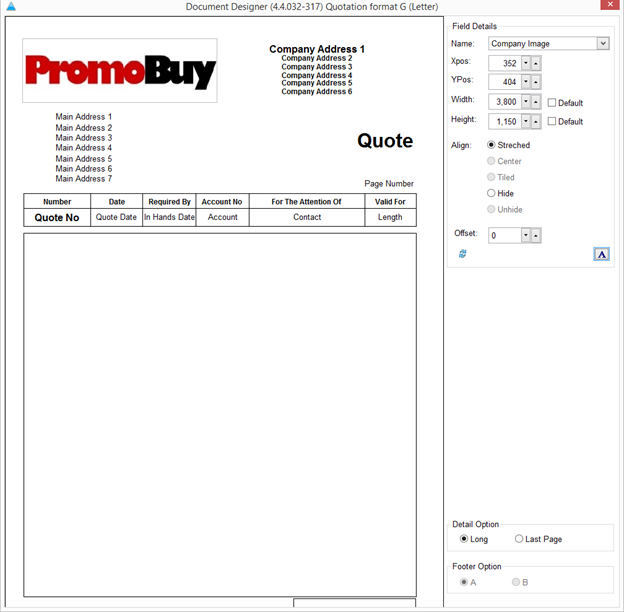 Summary – this can be controlled per user allowing for each individual to create their own personalized Quote PDF Templates. c) Allows for elements to be selected and then formatted editor tools, typically positioning & formatting. New fields cannot be added – you can only edit the fields that are available at present. The main body of the document cannot be changed at this point. When activated – at the point of Quotation Print – a new option is available allowing a user to edit the PDF Document itself. The routine can be seen below, if you are not Authorized per the above checkbox – the button highlighted is disabled. Note – by default even when the Authorized checkbox is set to TRUE – all the documents are set to as at present. 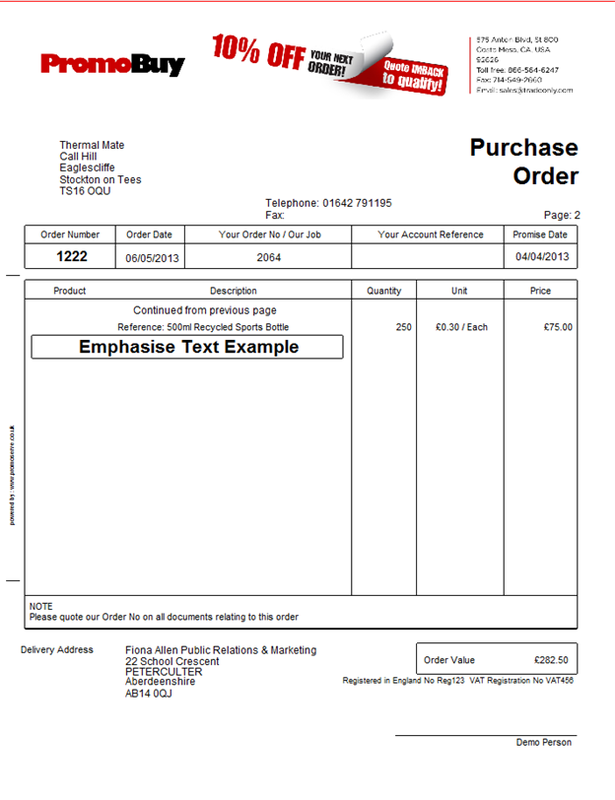 It is only as you amend and save them will the Bespoke Document be used each time you attempt to Print / Email. Default = Long – this shows the main page itself – primarily the Header. At this point you will also notice the Activation of the Footer Option – Format A & B – this can be toggled and saved prior to you making further edits. Summary – if a Supplier has a Settlement Discount set against their financial record, the system will now automatically calculate the proposed discount as opposed to previously informing the user with a message. This enhancement therefore aligns the system with the Customer Remittances module. This means that if the distributor pays an invoice for Hit within the first 10 days of the Invoice Date itself – they are applicable for a 10% discount. 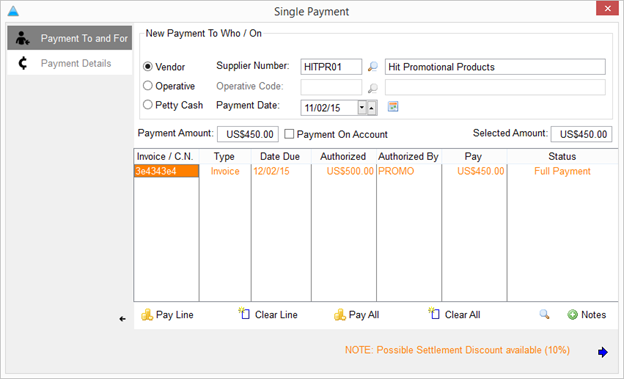 Purchase Invoice line entry highlighted in Orange – indicating that a Settlement Discount is applicable if PAID today. 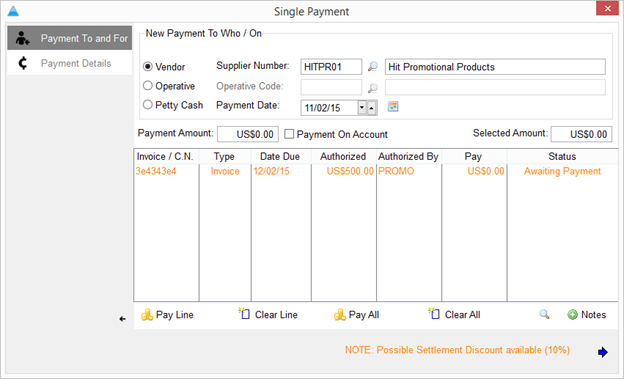 NOTE – if the Invoice goes beyond the settlement discount availability it will change to a normal black line entry. With the Bank reflecting the Credit of $450 in this case. Important – this enhancement only applies to Singular Supplier Payments. Does not pertain too Bulk Payments / Bulk Check Prints. 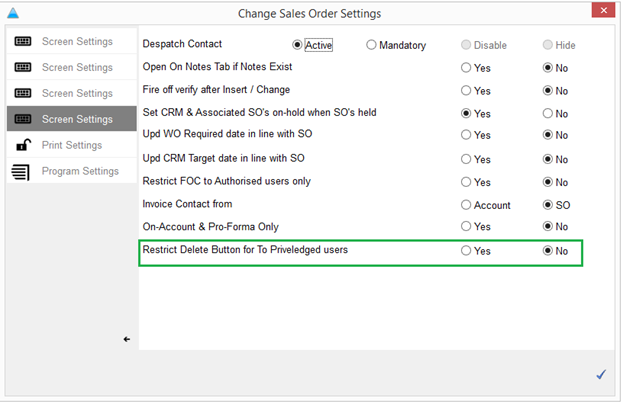 Summary – a new routine setup has been introduced to the system to disable a users ability to delete sales orders. Note – the restriction ONLY applies to no financial ledger users. Summary – the latest version of Clarion has introduced the ability to incorporate enhancements to the CRM Dashboard reports available for when a user logs into the system. The new graphs (WIP) are introduced by adding Dashboard format Z to the users profile – within System Functions -> User Profiles & Permissions. Important – you can right click on these dashboard graphs and have a series of options such as different graph types and effects. Summary – sometimes referred to as the Accounts Doctor in other systems – the Accounts Correction Wizard allows for a user to be logged in as PIXHALL and make amendments to financial S&P Postings. The Edits then reflect correctly in all related tables. 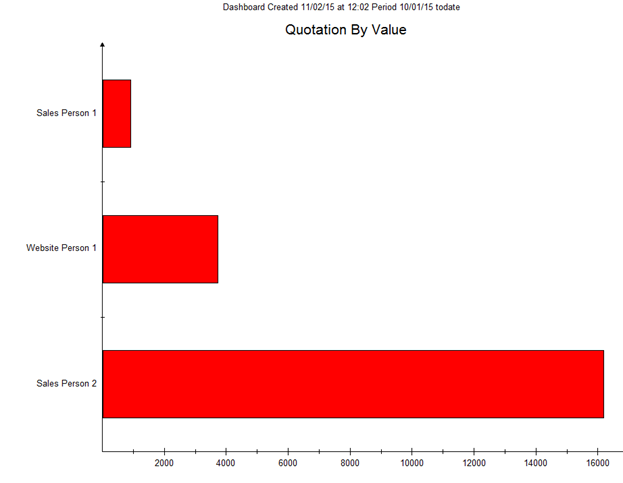 The Edits themselves can be made within the General Ledger Activity Tabs on each line entry. 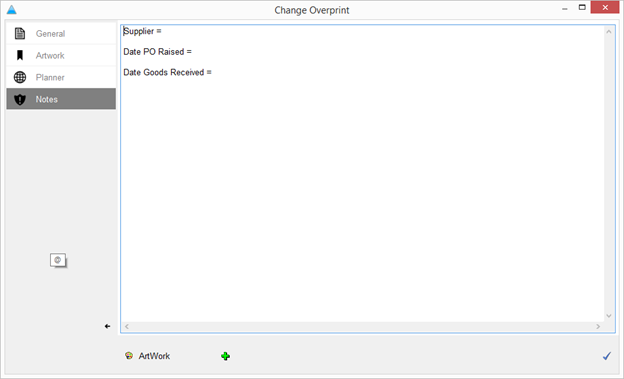 Summary – allow a user to select and display multi-drop address details on the Overprint document. 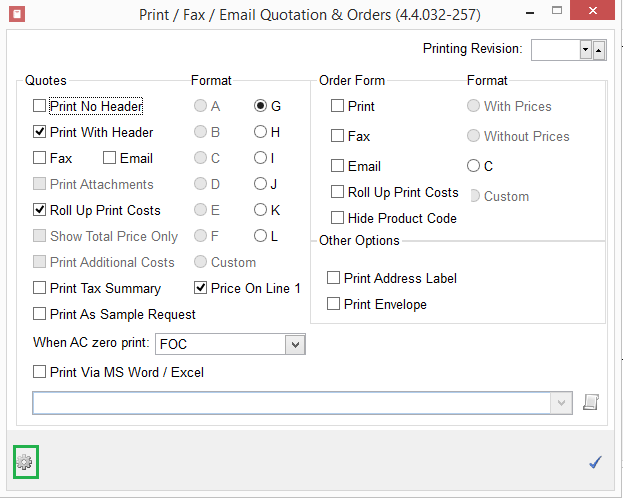 When checked the Overprint will display the different drop addresses and desired products. 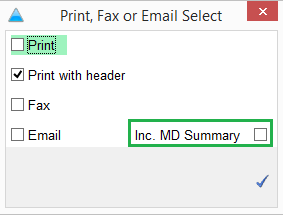 Summary – allow for a template of prompts to be added to the Notes section of the Overprint when created so that a user can then append too them. 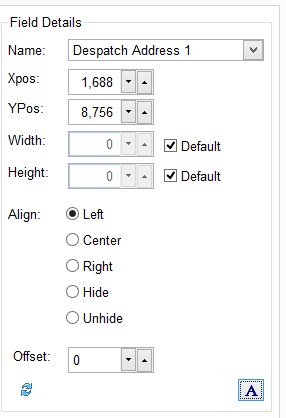 When you create the Overprint itself the prompts are then automatically added to the screen, a user can then append. 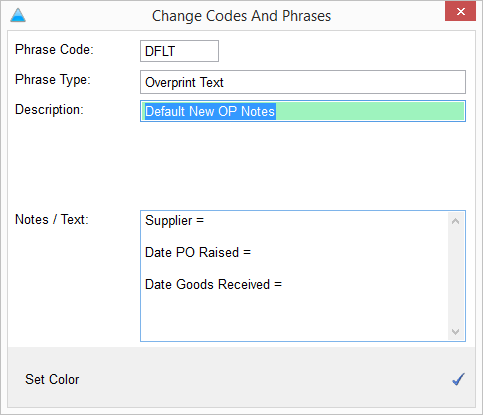 Note – the Green Plus (bottom of this screen) can be selected to call upon the different Codes&Phrases OT entries, therefore additional templates can be created to be called upon. 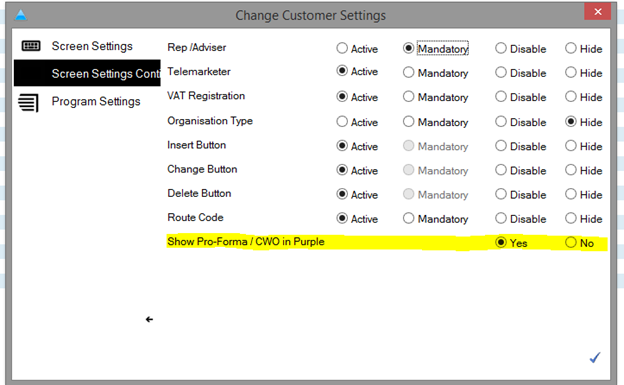 This now allows the ability for a CF Customer housing Inventory to integrate their system with either or both shipping systems. The integration works both ways with CF passing shipment information relating to an order directly into the either UPS/FedEx, when the order is then processed UPS/FedEx automatically writes back the shipping cost and information back into the Sales Order / Sales Invoice. Note – a number of mapping options are available with this technique therefore it is likely that the UPS Representative / FedEx representative will need to work with the customer in order to achieve the integrations. 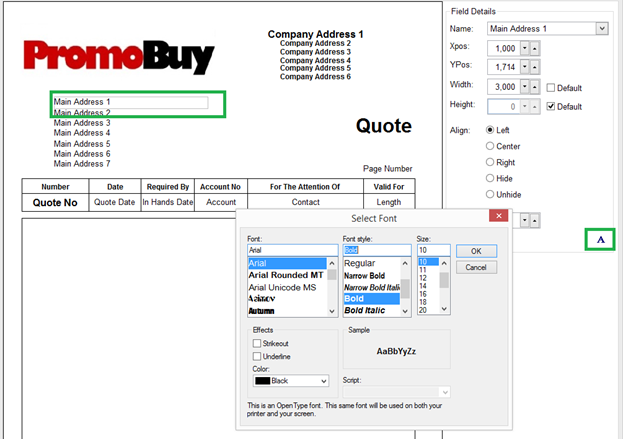 When adding a text line to a PO if you start the text field with <Emphasise> this will make the text bold, double size and add a box round the text. This facticily is currently available on PO’s and Invoices will a plan to roll out to the other documents.